In professional nail, a problem is still debated is, the nail employees in the nail salon, hire salon chair and " split earnings with rate 4/6" with the salon owner, is considered as the shop's employees or independent workers (independent contractor). The problem is very important because it relates to many issues in terms of legal, tax and insurance. About legally, if he or she is considered "employees" of the salon, the salon owner should be responsible for the employment of employees, including issues about civil liability such acts harm or injury to customer or third party. Owners must also take responsibility for problems about dismissal, harassment etc. About tax, if an employee , the owner must provide W - 2 tax form with the monthly salary including part of paying for pension funds (FICA Social Security tax), unemployment insurance (FUTA) etc. Owner shall also have to pay for minimum salary and overtime. And if the nail is considered as independent workers , their statutes will be completely different and owner is not responsible for all legal, tax and insurance as mentioned above. The problem of determining statute for the nail is also very complex . In 2005 , a salon owner in California has been fined by the agency EDD ( Employment Development Department ) California with $75,000 fine for the crime has not deduct unemployment compensation paid to employees . Salon owner has complaint to the Administrative Court , this Court sentenced the nail workers are not employees of the nail salon, are only independent workers and denied punishing that owner. EDD appealed , Senior Administrative Court reaffirmed the lower court's judgment . 1 . The employer's control : employees have been controlled the time , manner of work, work schedule or not. 2 . People working with separate instruments or not. 3 . The worker was issued W - 2 or Form 1099- MISC ( miscellaneous income) . 4 . There is a contract between the owner and the nail or not. 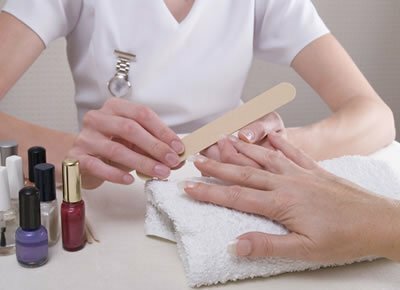 In a nutshell, the owner must pay special attention on the issue of statute of the nail man working in the salon. Be very clear about operating way and divide profit and control people working in the salon to avoid all the issues later.